For the most part, I don’t have trouble following a plant-based diet. The UK enjoys an incredibly-wide array of products found in supermarkets and health food stores. There is, however, one area of consumption where I sometimes struggle to have my demand met… and that is booze. I love a drink. Beer and whiskey and wine. Tick ‘all of the above’ please. But I endure the (almost daily) struggle of finding clearly-labeled vegan alcohol. Animal products are often used in the production of drinks and not all companies and establishments responsible for my lack of sobriety are up to speed with letting me know if they are selling animal-free liqour. But never fear. Samuel Smith’s Old Brewery in Tadcaster, Yorkshire has come to my rescue. This independent brewery has been turning out delectable thirst-quenchers since 1758. They clearly understand what makes a drink vegan and I have fallen in love with their Cider Reserve. Samuel Smith is served only in Samuel Smith pubs. In an attempt to remain fiercely independent, these branded pubs only serve Sam Smith items and maintain a music-free environment as a protest to public performance royalties. 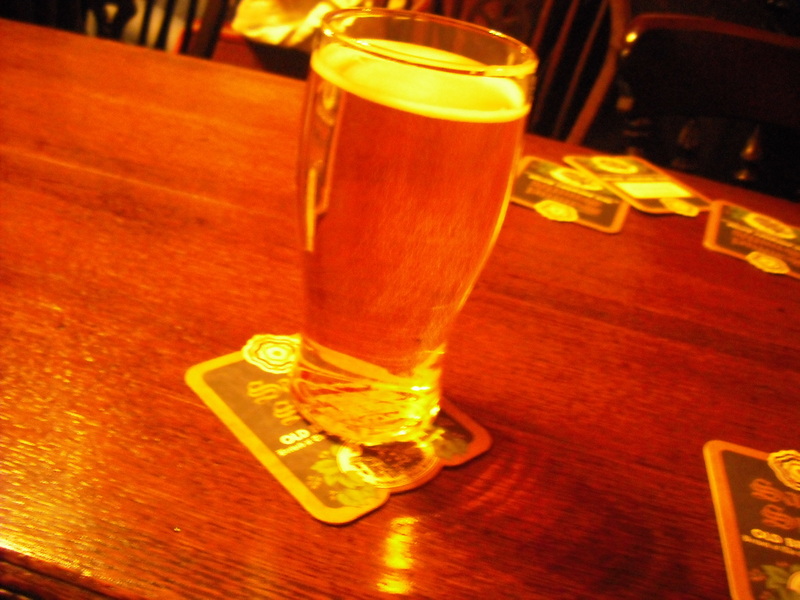 I recently enjoyed several pints of Cider Reserve with friends in a lovely Sam Smith pub located in Tower Bridge, London. The Anchor Tap (located on Horselydown Lane) is a gem from another era. Low ceilings and goblin-sized doorways frame cosy rooms where you can relax with incredibly-inexpensive drinks. London can be slightly overwhelming, but the Anchor Tap and Samuel Smith put it all in perspective. A brief list of Samuel Smith drinks suitable for vegans include Imperial Stout, India Ale, Nut Brown Ale, Oatmeal Stout and Old Brewery Pale Ale. Certain selections can be purchased in organic/health food stores around the UK. Follow this link for more information on why alcohol is often not vegan. More pictures of the quaint pub! I love quaint pubs! There will be many a quaint pub reviewed here… no need to panic.